Juke box and Karaoke Machine. Up-to-the-minute music with over 5000 video songs and 3000 Karaoke files. Touch screen – find your song in seconds. Search by artist, title, album or category. 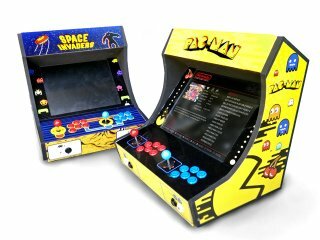 Counter-top “old-school” arcade machines. Each one has over 100 games – and they’re all exactly as they used to be! All your favourite games – PacMan, Space Invaders, Frogger, Galaga, Galaxia, Tetris etc.. etc.. etc.. No coin slot – play over and over again with no cost apart from the hire fees! Lots of fun for the whole family. SKU: CLUBJUKE-BR. 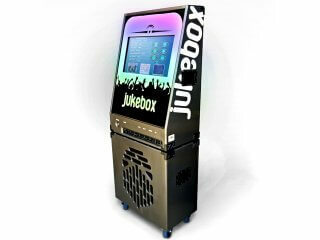 Categories: JUKEBOX, KARAOKE, ARCADE GAMES HIRE. SKU: ARCADE-BR. Categories: JUKEBOX, KARAOKE, ARCADE GAMES HIRE.